Always looking to revolutionize hunting, Western Rivers is a company that provides much more than just electronic predator calls. Offering specialized hunting helmets, ice packs to keep your food or drink cold on long hunting trips, and remote controlled decoy rabbits, Western Rivers offers everything a hunter needs. 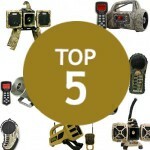 However, their true claim to fame is their varied electronic predator calls that will fit any hunter's budget. The Western Rivers Mantis 50 which is competitively priced below $40, is a hand-held predator call with 50 preloaded calls. It is extremely compact, yet still has an LCD readout with a backlight, a keypad to choose calls and volume, and legs to set the call up on the ground so you do not have to constantly hold it. Unfortunately, it is not reprogrammable, so if you are looking for more exotic animal calls (such as lynx), you will have to look elsewhere. 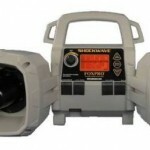 If you are looking for an electronic call that you can set up and operate from a distance instead of a handheld, choose the Western Rivers Mantis 75R for approximately ten dollars more. 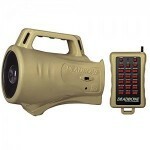 This unit also holds 75 calls, 25 more than the Mantis 50. 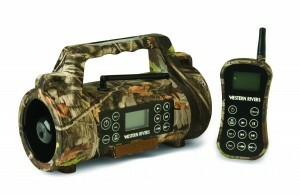 The Western Rivers Game Stalker is a full sized electronic predator call that offers 300 preloaded sounds. 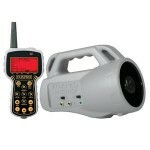 Its remote works up to 250 yards away for a modest price of around $150 to $200. 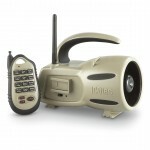 Like all Western Rivers electronic calls, this unit is extremely durable. The Western Rivers Game Stalker Pro is an advanced version of the regular Game Stalker, sells in the low $200 range, and comes with 400 preloaded game calls and a decoy. Although it is very similar to the regular Game Stalker above, if you want more preloaded sounds and were planning on purchasing a decoy, this is an easy choice. The ultimate predator call Western Rivers offers is the Western Rivers Stalker 360. 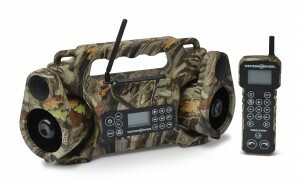 While very similar in design to the Game Stalker, the Stalker 360 offers dual speakers that can be angled to different directions using the remote. If you want ultimate control over your predator calls, look no further than the Stalker 360. It retails anywhere around the $300 range.